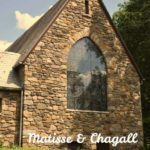 When we were in Jamaica last year, my husband and I left our resort and did some side trips around the local area. Our children refused to budge from the resort and so we had some lovely grown-up time on our own. Our favourite expedition was to the Good Hope Plantation near Falmouth. 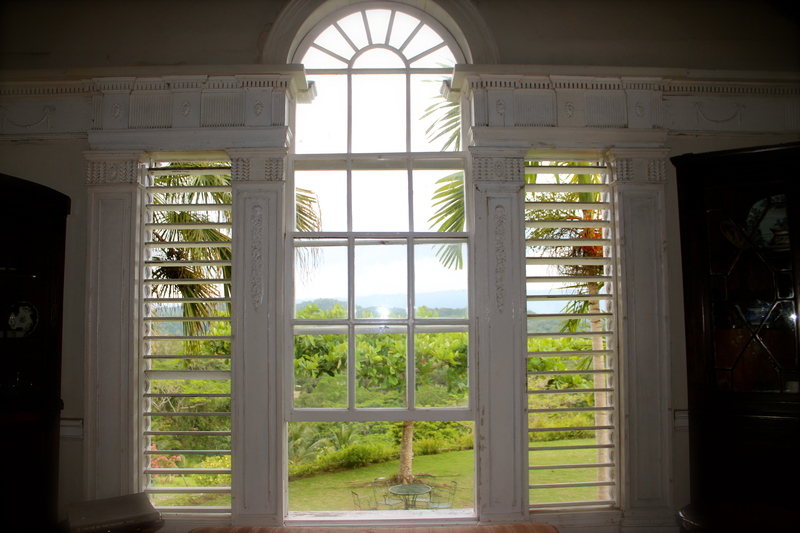 The Good Hope Plantation was established in 1774 as a sugar estate. 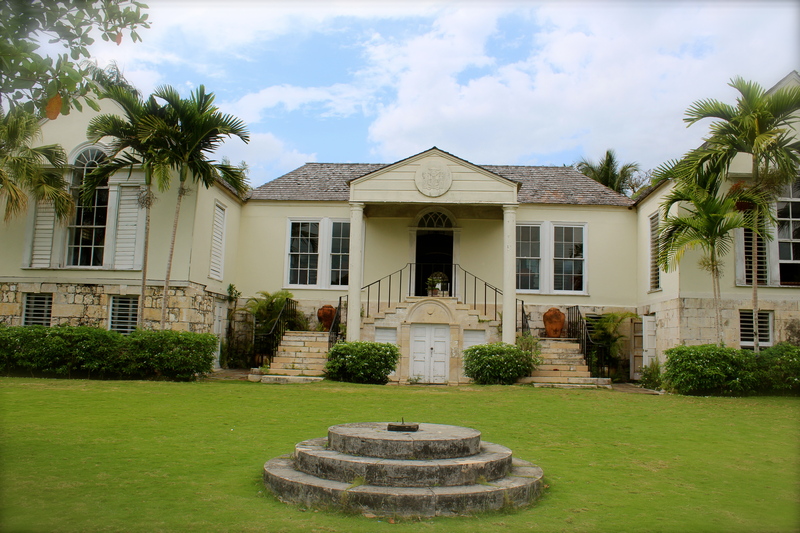 In its heyday, the estate belonged to John Tharpe, the largest land and slave owner in Jamaica. Responsible for about 3000 slaves, he was reputed to be one of the better slave owners. 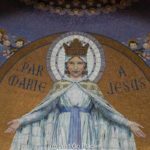 He established a church, hospital and school for his slaves. Even after the slaves were emancipated, they continued as workers on the estate. Of course, there probably were limited in their options. The gatehouse was made with balance stones. Balance stones were the flagstones used on the ships to provide ballast when they came empty from England to Jamaica to pick up the sugar and rum. The gardens were a riot of lush colour. The current owner has an orchid garden. Amazingly bamboo also runs riot through the estate. Apparently the Jamaican government encouraged the growth of bamboo for reasons no one could remember. From the Great House set up high on a hill, you could see over the surrounding countryside. 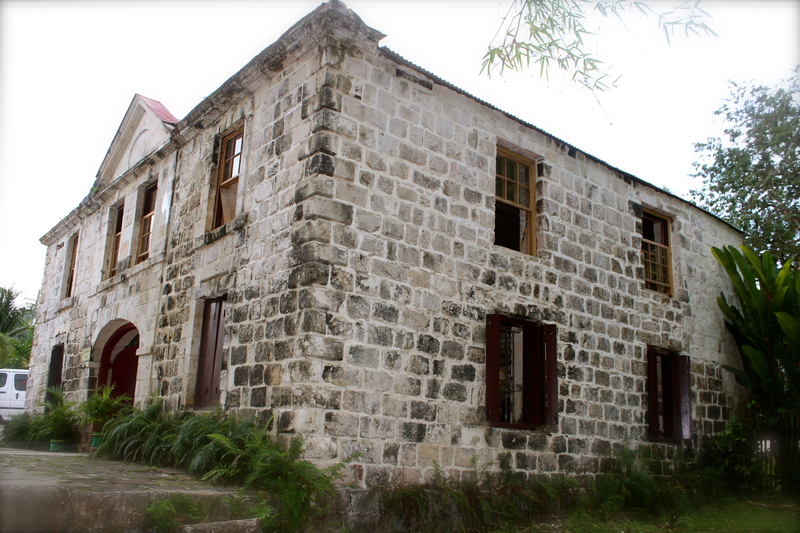 By the end of the 18th century, there were over 600 estates in Jamaica each with their own Great House. Nowadays only a few have survived. 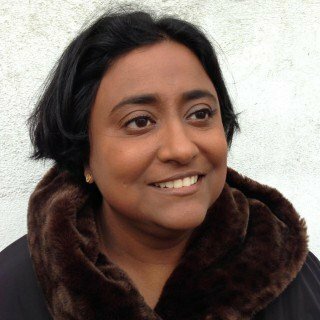 In the 18th century, Good Hope epitomised elegant living. The Georgian features of the house were modelled on fashionable houses back in England. The house’s palladian windows were much admired. Jamaican houses were usually sold with their furnishings. This house is lucky to have many original furnishings. The floor is a beautiful original wild orangewood burnished with years of use. The orange wood was native to Jamaica but extinct now. 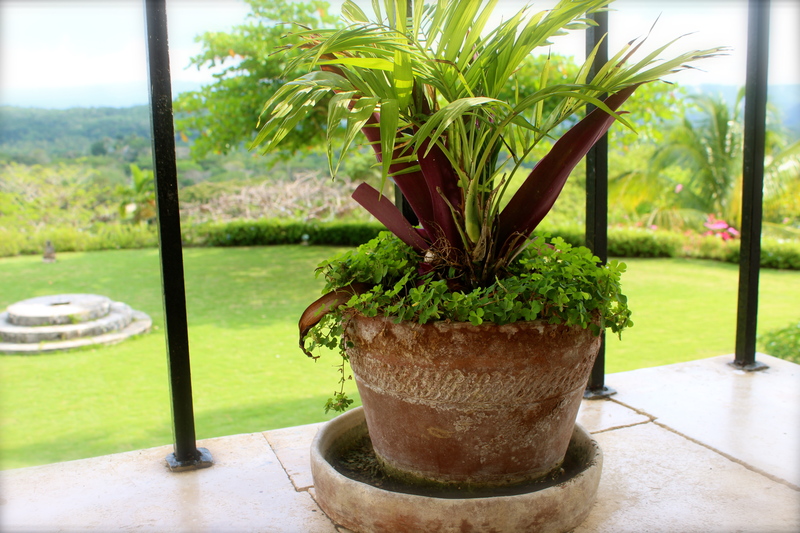 Each plantation owner had a planter’s chair made to his specification and build. 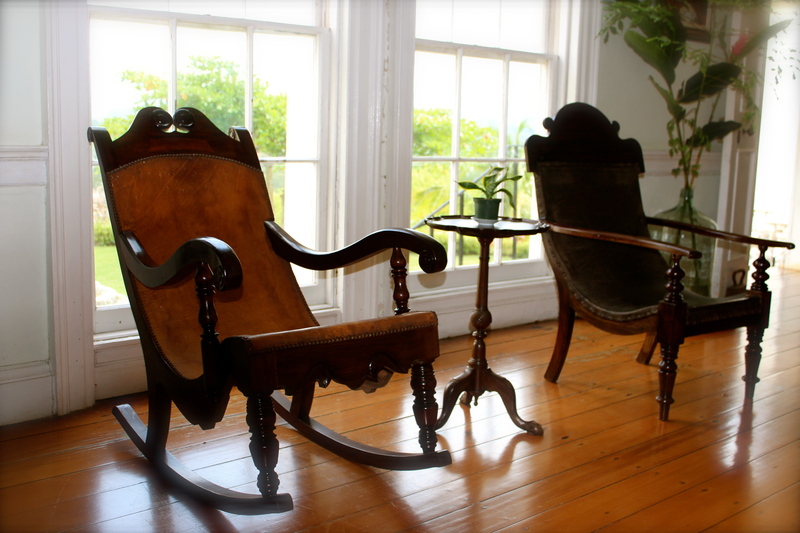 As the house has had several owners, these beautiful old chairs are scattered throughout the house. 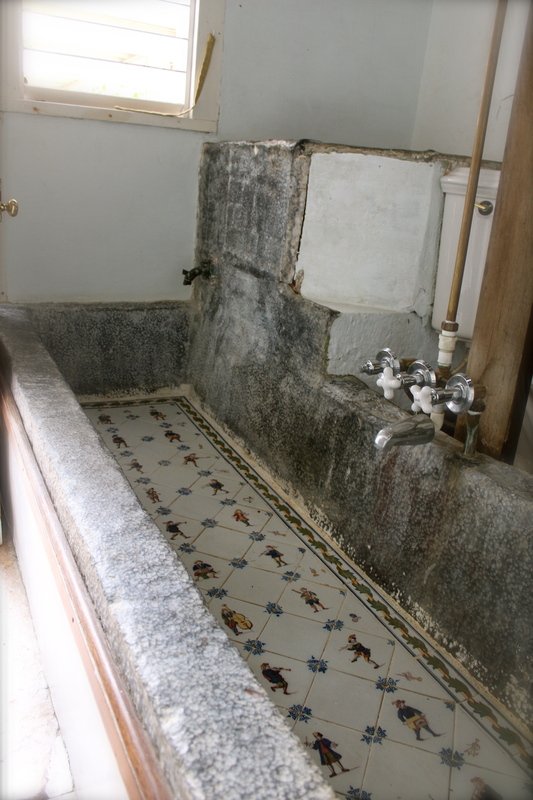 The copper bathtub in the master suite was remarkable at the time for having hot water piped in to soothe John Tharpe’s arthritis. Unfortunately the bathtub was lined in lead and Mr. Tharpe died of lead poisoning anyway . The original counting house to the rear of the Big House was where the planters did business. The counting house has been converted into the honeymoon suite for when the house is rented for weddings and located above the old dungeon. I’m sure there is irony there somewhere. The kitchen is fairly massive and has been used for filming. The Two Fat Ladies set an entire episode in these kitchens in which they demonstrated how to prepare food for a Caribbean Christmas. Martha Stewart prepared the Jamaican national dish, ackee and salt fish, in this video for Martha Stewart Living Magazine. 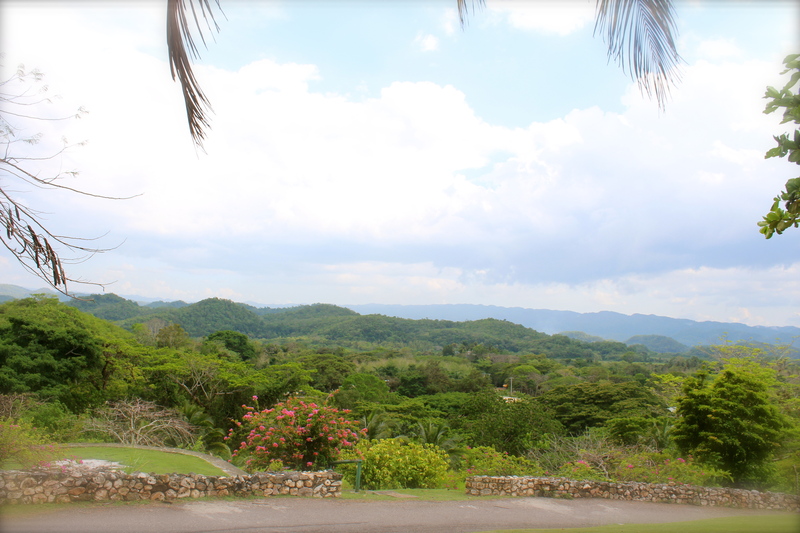 We had a charming romp in the Jamaican countryside. Our guide was terrific. 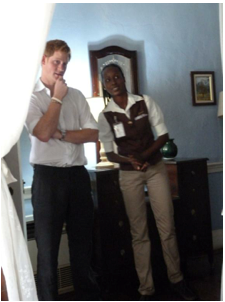 She made a point of telling us that she had been the guide chosen to accompany Prince Harry around the plantation when he visited. I’m sure she didn’t hit up Prince Harry for tips though. The estate remained a sugar plantation until the early 20th century. Nowadays, only part of the estate is a working plantation. The rest is utilised in various ways. The estate served as the location for the movie, How Stella Got Her Groove Back. Currently, Chukka run tours on the estate. Other than the Great House tour we we took, there are more active tours like zip lining, river tubing and 4×4 excursions into the forest. There is also a villa to rent on the estate if you wanted to stay on site. We really enjoyed our visit to Good Hope Plantation. The house and grounds were beautiful. We were lucky that we went on a day that wasn’t over run with people on excursions from cruise ships. We would definitely recommend visiting this plantation if you want to have a peak into life in a bygone era. 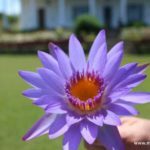 We visited the Good Hope Plantation at the recommendation of the concierge at the resort where we were staying, Beaches Boscobel in Ocho Rios. This post contains affiliate links which will not cost you anything extra if you click on them. 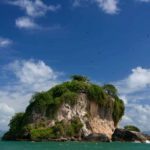 Why You Should Visit Los Haitises National Park in the Dominican Republic Now!